The Insurance Coverage of Noninstitutionalized Medicare Beneficiaries dataset includes data about Medicare insurance coverage beneficiaries aged 65 in the United States by age, gender, race, poverty and marital status between 1992 and 2015. The Insurance Coverage of Noninstitutionalized Medicare Beneficiaries dataset lists numbers in millions of noninstitutionalized Medicare beneficiaries under various plans including Medicare advantage plan, Medicaid, Medicare fee for service only, Medigap and employer-sponsored plan among adults aged 65 and over, it lists also percentage distribution between different plans. * **Medicare advantage plan:** Enrollee has a Medicare Advantage plan regardless of other insurance. 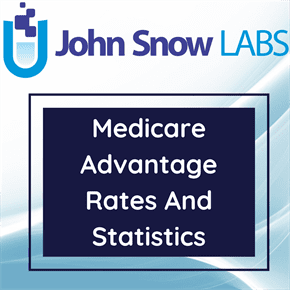 Medicare Advantage plans include health maintenance organizations, preferred provider organizations, private fee-for-service plans, special needs plans, and Medicare medical savings account plans. Starting with 2013 data, the term Medicare Risk Health Maintenance Organization was replaced with Medicare Advantage plan. * **Medicaid:** Enrolled in Medicaid and not enrolled in a Medicare Advantage plan. * **Employer sponsored plan:** Private insurance plans purchased through employers (own, current or former employer, family business, union, or union of spouse) and not enrolled in a Medicare Advantage plan or Medicaid. * **Medigap:** supplemental insurance purchased privately or through organizations such as American Association of Retired Persons or professional organizations, and not enrolled in a Medicare Advantage plan, Medicaid, or employer-sponsored plan. * **Medicare fee for service only or other:** Medicare fee-for-service only or other public plans (except Medicaid). Percent of poverty level is based on family income and family size and composition using U.S. Census Bureau poverty thresholds. Insurance categories are mutually exclusive and persons with more than one type of coverage are categorized according to the order in which the health insurance categories appear in the database. Due to changes in sampling and data collection methodologies, 2014 data are not available.